The Pillsbury Dough Boy has a secret. He's married to the Pillsbury Dough Girl! And, they live in a Vintage cookie jar by McCoy (of course). 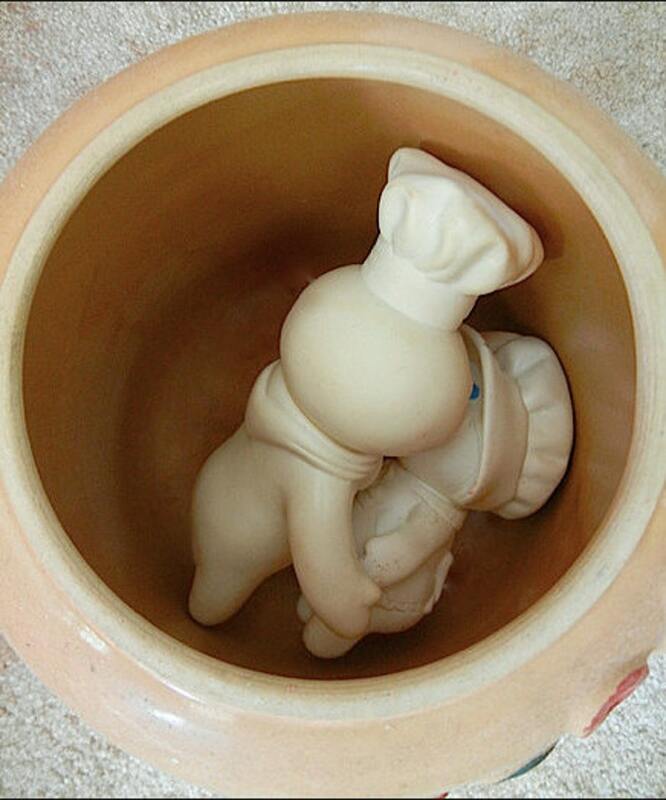 This classic couple is hoping to bring a Dough baby into the world later this year.